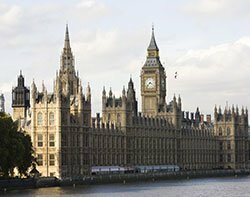 The Public Accounts Committee has expressed concern over the lack of control of thousands of overseas IT workers entering the UK on intra-company transfers. In its report on the UK Border Agency's points-based system, it singled out the intra-company transfer (ICT) immigration route - and particularly its use by IT companies - for criticism. ICTs transfer workers to the UK by an employer with multinational operations. These workers fall outside the immigration cap. Many thousands of IT workers from countries such as India come to the UK through the ICT route. "Two thirds of the migrants using this route work in IT, and are potentially displacing resident workers with IT skills," said the Public Accounts Committee (PAC). Public Accounts Committee chair Margaret Hodge says the points-based system is better than the visa system it replaced. "But there is still a good deal of room for improvement," she added. "We are concerned at the lack of control of workers entering Britain through the intra-company transfer system. This allows multinationals to transfer their workers to the UK and is not covered by the immigration cap. "Most workers enter through this route and, for instance, tens of thousands of IT workers have been brought in through intra-company transfers at a time when UK residents with IT skills are struggling to find work," said Margaret Hodge. Alp Mehmet, vice-chairman at Migration Watch - which advises government on immigration issues - said the organisation is particularly concerned with the use of ICTs in the IT sector, given high IT graduate unemployment. "We are concerned in the IT sector because there are a high number of IT graduates still looking for work from last year because businesses bring people in from overseas because they are cheaper." He says Migration Watch will continue to push the government to change this practice. Hodge said not only does the UKBA fail to check if workers leave when their visas run out but only checks one in five of the companies that are sponsoring them . There are an estimated 181,000 migrants still in the UK whose permission to remain has expired since December 2008. "The fundamental point is that the Agency lacks the management information needed to manage migrant numbers and ensure that the rules are complied with." She said the UKBA's planned new immigration casework system is expected to provide the management information required to better manage immigrant workers. The PAC also cast doubt on the effectiveness of the introduction of a minimum salary for workers in the UK on ICTs. The Home Office has now set a minimum salary requirement for ICTs of £40,000 and £24,000 for those in the UK for less than a year. "However, this minimum salary includes living allowances and therefore does not accurately reflect salary levels. In these circumstances, some companies may use cheaper workers from outside the EEA rather than UK resident workers," said the PAC.